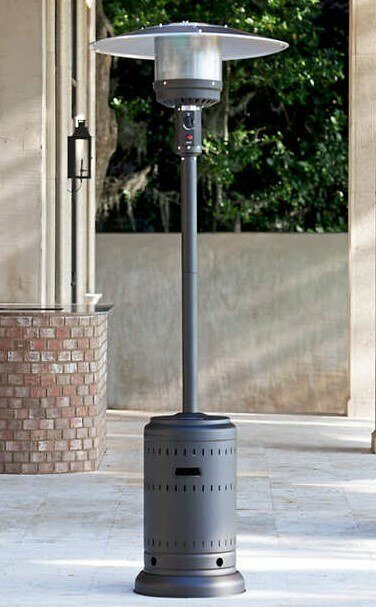 The patio heater is designed, and safety certified, to run on LP gas (Liquid Propane) using a standard 20 lb. 5 gallon tank. 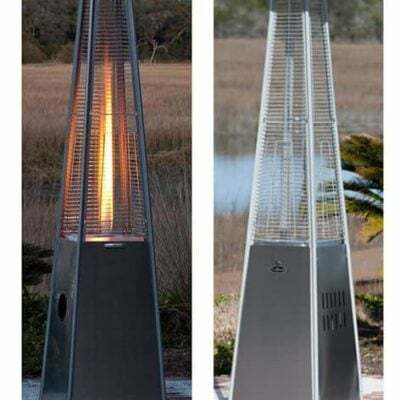 DWC does not cover negligent use or misuse of a patio heater. Customers are expected to place all heaters in open areas away from any flammable structures, objects,. or foliage. 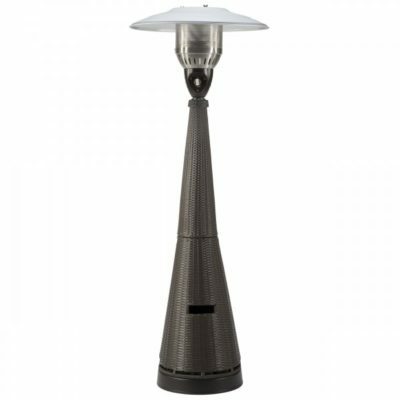 Patio heaters are not to be used in extreme weather conditions including high winds, rain, etc. 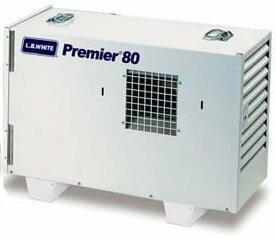 Any damage to a heater resulting from tip over or negligent use or misuse will not be covered by DWC.